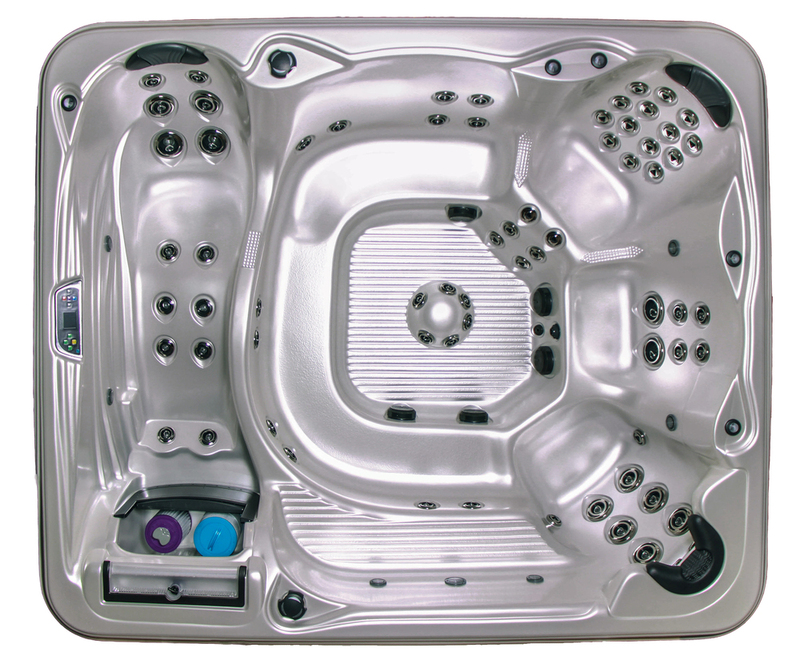 The Isla Margarita is a spacious family spa with 71 powerful jets and seating for up to 9 people. It features a circular bench moulded seamlessly into the organic spa design. It also features hand massage tracks integrated into the hydrotherapy seat and lounger to target reflexology points that rejuvenate tired hands and boost circulation.